High-resolution Cassini images show an astonishing level of structure in Saturn's Cassini Division, including two ringlets that were not seen in NASA Voyager spacecraft images 25 years ago. 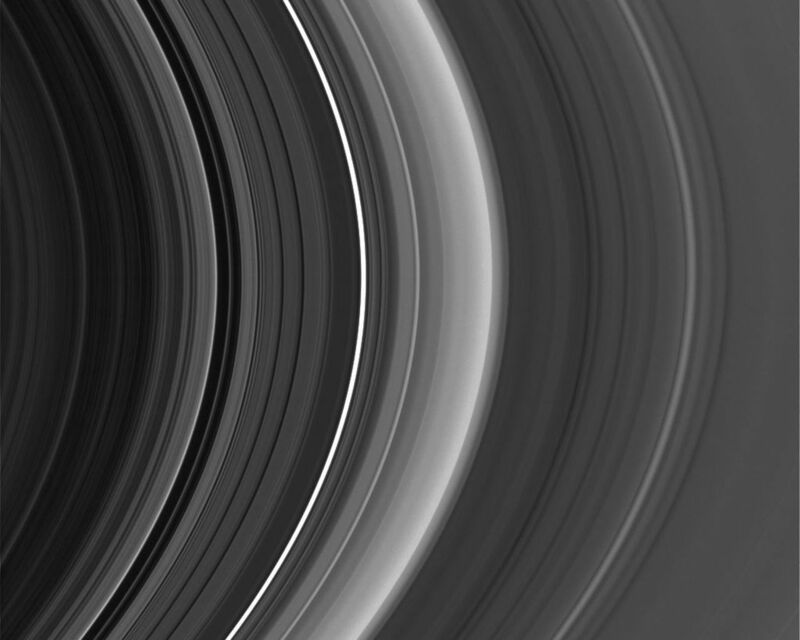 This view was taken with the sun almost directly behind Saturn and its rings, a viewing geometry in which microscopic ring particles brighten substantially. 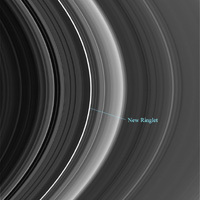 The image shows the diffuse new ringlet in the Cassini Division as the brightest feature in that region. This image was taken in visible light with the Cassini spacecraft narrow-angle camera on Sept. 15, 2006, at a distance of approximately 2.2 million kilometers (1.4 million miles) from Saturn. 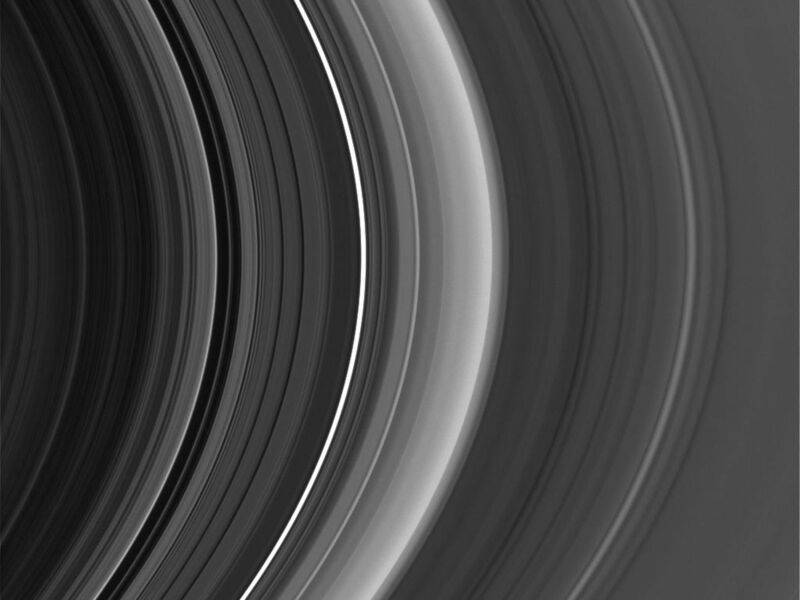 This view looks toward the unlit side of the rings from about 15 degrees above the ringplane. 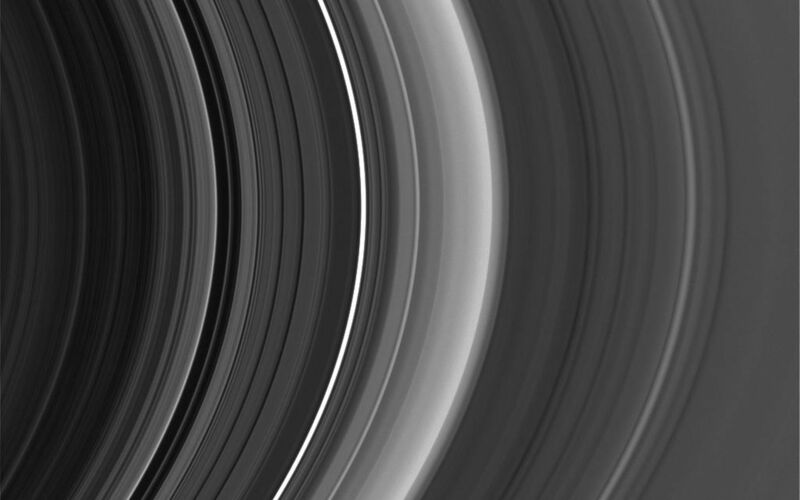 The phase angle, or sun-Saturn-spacecraft angle, was 179 degrees. Image scale on the sky at the distance of Saturn is 13 kilometers (8 miles) per pixel.